This weeks edition of Stundin has a black cover page. 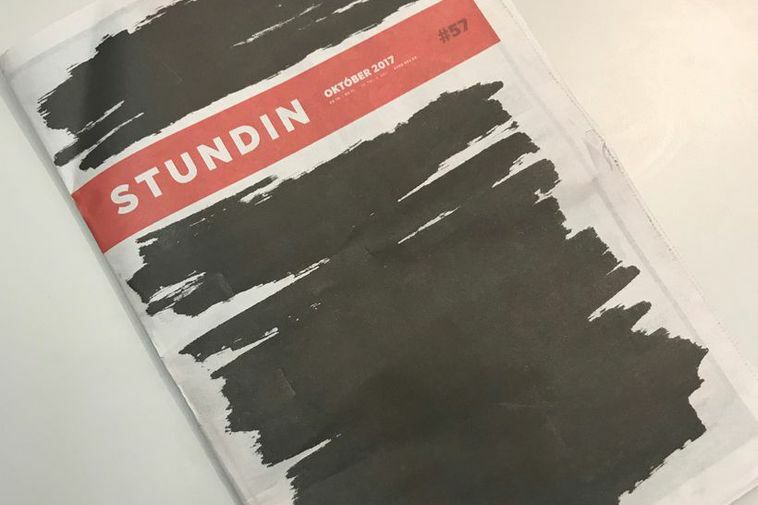 An injunction was placed on the newspaper last week along with Reykjavik Media for using documents from the collapsed Glitnir bank in their coverage. The constitutional and supervisory committee of Parliament is reviewing the matter. The journalist union of Iceland has condemned the action. Chairman of the union, Hjalmar Jonsson has said that such an action taken just before a general election is crazy and that Iceland is almost a laughing stock internationally.